Say hello to “Bix”, star of my newest book! How far will Bix go to be popular? 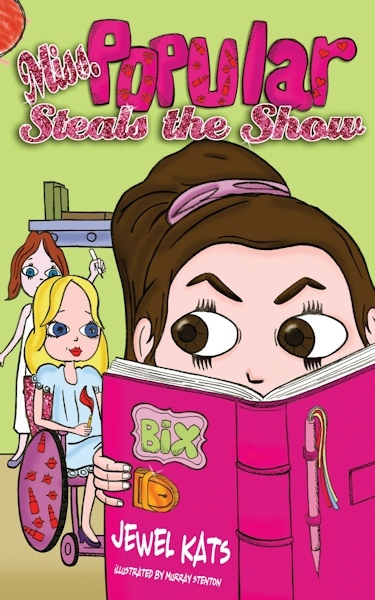 A delightful and humorous diary account from “Bix,” a plain Jane from a struggling family trying to outdo and steal the third-grade classroom stage from Valerie, whose mother is a famous author. Miss Popular may be a wheelchair-user, but she knows how to charm the classroom, and her pink bejeweled wheelchair rules. In a pique of frustration, Bix resorts to lies to steal the limelight from Miss Popular. She also announces that she will be having a puppy shower, and everyone except Miss Popular is invited. Can Bix pull it off?